Are you still in the process of deciding on a niche to jump into? Maybe you’re thinking about doing content marketing but you want to be confident that you’re doing it right. Or, you could be at that point in your business development where you’re ready to create a product but aren’t sure what to sell. With any of these scenarios, knowing how to use Google Trends for market research is a key in getting to the pulse of your audience before you go full on with your content marketing, product creation or niche selection. This is a big deal. Even if you think you understand how to use Google trends, you’re going to learn new tactics and new ways to use this tool in this post. 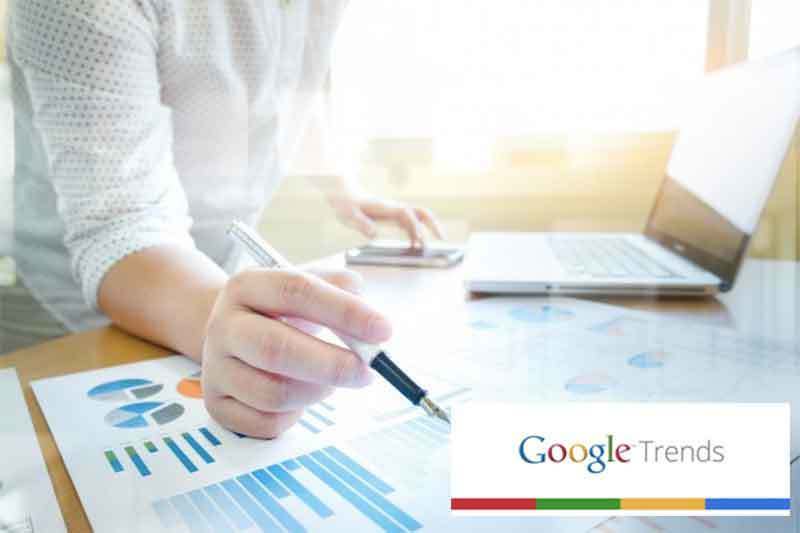 I’m going to reveal to you why using the Google trends search tool is so valuable and explain some of the main features to you. I’m also going to show you how you can use it in four different ways and share with you valuable tips when doing target market analysis that will change the course of your online business for the better. If there’s one big mistake that entrepreneurs make, it’s not doing the research before and during the operation of their business. You’re devoting a huge amount of time, money, and energy to starting a business, so you want to do things the right way to avoid costly mistakes. The better question to ask is why wouldn’t you want to learn how to use Google trends? It’s up to you to solve the problems that your audience face and Google trends is the free tool that’ll help you connect with your customer avatar. Those who do more trends research than their competitors have a greater chance of success. This gives you a slight edge over your competitors, and you ALWAYS want to be a step or two ahead of them. This is one way to earn money online without investment, know your audience (free with Google trends) and get them to know, like and trust you (a no-cost successful marketing strategy). You don’t create the desire, you solve their problems and help them achieve their goals. Google trends is a great tool to keep in your arsenal just for that. 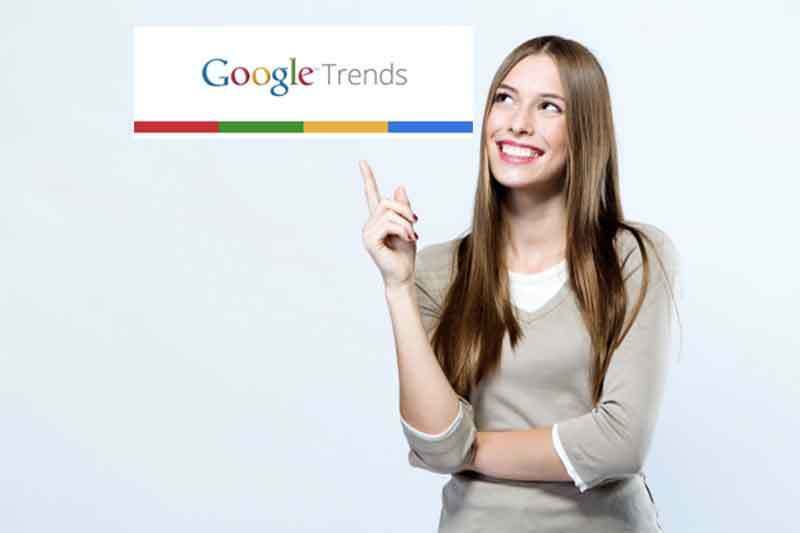 Google Trends is a free market analysis tool that will show you Google trending searches. 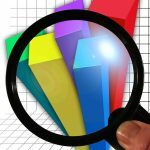 This helps your business get to the nitty-gritty of market research, saving you hundreds if not thousands of dollars, and lost time and energy by nailing down your direction from the start. Have an idea you want to expand on? Want to know how to grow that lifestyle business you’re after? The Google Trends search tool allows you to conduct trends research on any topic or keyword you might have in mind. You can see a variety of data on search volume in real time. You can also view the trends over a time span to help you determine Google search interest over time. My wife and I have done the research using free tools like Google trends allowing us to make the most strategic decisions which you absolutely want when you're making big decisions and pouring your time and energy into your online business. Google Trends is honestly much easier to use than you may think. What is most important is your ability to really think about the data you collect and how it pertains to your content and product creation. When I’m doing a topic, term or keyword search I like to keep my filters wide open because I’m trying to get as many ideas as I can. So I don’t really want to limit the system. But you can adjust the category and location if you’re looking for data that are very niche specific. When you type in your search term, key phrase, or topic, you’ll have two options on processing your search. You can either search the term or you can search the topic. After you hit enter, the Google trends search generates results for you. and a bar graph on the left. These results show Google interest over time. Both of these give you a visual idea of how that Google keyword trend has been doing or trending over a certain amount of time. Below these graphs, you will see a related queries box, which shows you additional keywords that are related to what you searched for in Google trends. This is not a deep dive into keyword research, but is showing you keyword trends, and related search queries directly from Google’s database. This shows you what’s rising and what trending search will be something you want to tap into as a content creator whether you’re creating blogs, videos, podcast and the like. What’s even cooler about this feature is you can sort the results by “rising” or “top”. The top shows the most searched topics and terms. If you can piggyback on one of the trending searches, you’ll have a massive chance to grow your audience and your reach in a short period of time. You can sort these related queries by rising, comparing the rise in the current Google keyword trends against the prior time period. Or by the top, the most popular related search queries. Jot the related queries onto a spreadsheet or notepad and bring them to the compare tool to prioritize your efforts. Another great way of how you use Google trends for market research is by comparing your search terms. That’s right, you can even use the compare feature for multiple search terms that will give you multiple, color-coded lines and bars on the graphs. By just looking at the graphs, you can identify right off the bat which topic is more popular than the other ones. Maybe your blog is about pet food, and you want to find the trending keyword searches in pet food. We’ll use this example later in the post and show you how to use Google trends to make money. Now, you’ll also see the Google search interest by region, related topics, and related queries as you scroll down the page. 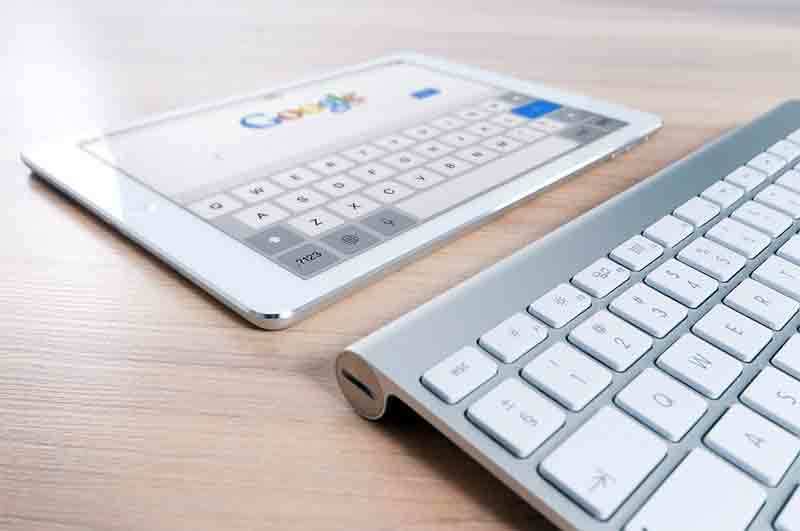 An understanding of Google search interest will help you on a couple of different levels and you can choose to pick certain areas to focus on if you wanted to. You can use the Google search interest by regional results for narrowing down your audience and focusing your advertising on places that show greater interest in the search term. Analyzing what’s trending over time will give a clear projection whether something is a fad, or is on the downward or upward trend. Notice the different time ranges for the Google interest over time graphs. Look at the popularity on a long-term basis if you want a business that lasts for more than a few days. If the popularity reflected in Google trends is sustained for 5 years or more, then there’s money in the niche and that’s going to be your better bet for the projected future. Google interest over time gives you the option to review data from the past too. You can go back years, months, weeks or even down to the last 24 hours. The search results usually default on “worldwide” and “past 12 months” but you can refine your search by choosing the time frame you want to look over as well as a selected country. Ultimately you want to take trending searches and see how they’ve been trending over time. You definitely want to wrap your head around the bigger picture because the long term success of your business is counting on it. Do you want to nail down your niche, avoid seasonal droughts and have an ongoing cash inflow? Are you looking for an easier way to connect with your audience in your content marketing? Not sure what kind of product to create or sell? 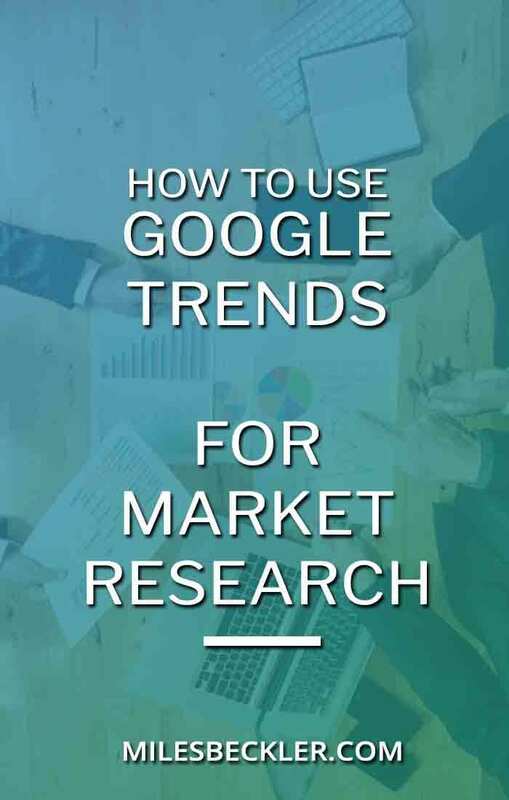 Let’s go through all four scenarios in Google trends so I can show you how you can be a step ahead of your competitors using market research data. Finding your niche isn’t just about what you gravitate towards, it needs to be something people are searching for. You could be interested in making DIY play dough and slime for kids, but if no one else is, what good is that to you? Rookies by-pass the research work and go straight to choosing a niche without even trying to understand their audience and what the trend that’s relevant to their niche is. Let’s say you have an interest in many outdoor sports. You put mountain bike in the Google trends searches and see there is a seasonal low from September to May each year for the past 5 years. Having this search popularity will prepare you for the drought in search traffic and revenue, or you can use Google trends to discover other keyword trends of a different outdoor sport. Snowboarding would be an option to cover the seasonal lull of mountain biking. Put in snowboard in the Google trends compare box and the graph shows you that when mountain biking is going down, snowboarding is on the rise. It also shows us that snowboarding has higher highs than mountain biking. Depending on when I was launching my business, this trends research would show me which topic I want to be prioritize first and when I need to have it all launched by. If it is January right now, then I probably can’t hit page one of google for the big spike of snowboard searches in February so I would get my mountain bike posts cranking, prepared for the rise of that search topic in May. Then in May/June I would create my snowboarding content to be prepared for it’s rise in October. Another outdoor sport we can compare is paddle boarding, maybe it is better? Add that as a third comparison in Google trends and it has much lower trending searches than snowboarding or mountain biking. Maybe I’ll add that for next year, now I gotta get deep in keyword research for mountain biking to be ready for May. Thinking of writing about YouTube marketing? 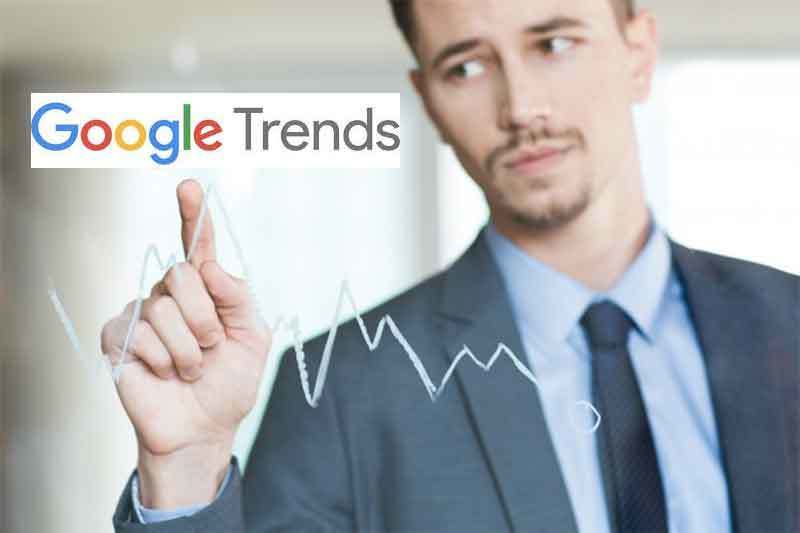 Google Trends gives you results in search popularity that will help you to come up with content ideas, subtopic ideas and even Google keyword trends to use for your topic and posts. For example, you want to find out whether video marketing is trending more than YouTube marketing? As you can see, video marketing, the red line, is doing much better than YouTube marketing when you look at the line graph. You can even include another search term to compare with these two, say Facebook Marketing. In the results, Google trends shows Facebook Marketing is much more popular than the two, but you can also see that it follows a downward trend over the years. So that’s where that interest over time comes into play as consideration. You want to plan out the topics for the content you’re creating, hopefully as part of your 90 day challenge. If and when you feel stuck and don’t know what other topics to create content about, the trending searches has you covered. From these two google search queries you get 6 more content marketing ideas immediately. Explore two of those Google keywords, or click one of the related topics and your content marketing ideas have a rabbit hole that keeps going. If your business is built around a review site or affiliate marketing, you want to create content on multiple topics right? The Google trends search is your ticket to ride. The features that I’ve explained to you so far are ones that will be super important to use with the online business you’re starting and growing. If you’re doing a pet food review site. You want to know what is the up and coming thing to write reviews about and be ahead of the trends. You hear about vegan dog food and think it’s kind of crazy but let’s check it out. 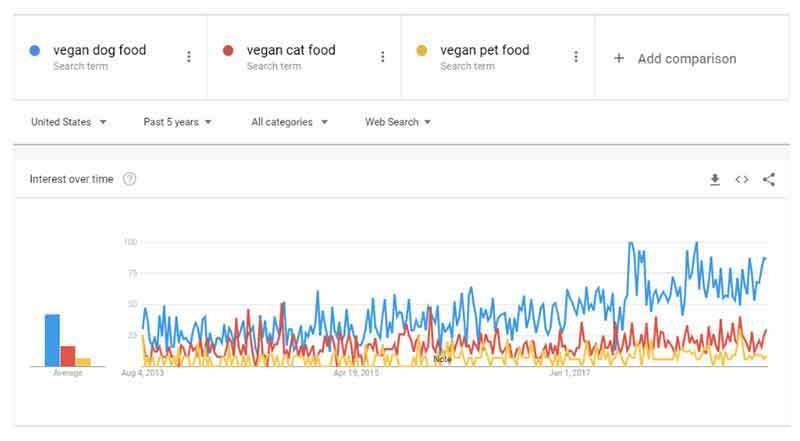 I put in vegan dog food and see that the Google search trend is about 400% higher than it was just 5 years ago. This is definitely a trend that I want to add to my pet food review site. But should I focus on vegan dog food, vegan cat food, or the more broad vegan pet food. Google trends clearly tells me I can make more money from spending my energy on vegan dog food reviews. After I get those knocked out on my affiliate marketing website, I would then focus on vegan cat food because it is on the rise as well. Creating a product is an extensive and expensive thing to do. So if you don’t know what to create your product around, Google Trends will help you to identify what topics are trending. If you’re in the health and wellness niche, should you create a course on the paleo diet, keto diet, Atkins diet, or veganism? I put all four of these sub niches in and clearly see that vegan is knocking the socks off of these other diets and, the highs keep getting higher, and the lows are not as low as before. This is the product research data I want to see if I am going to spend the time to create a product. 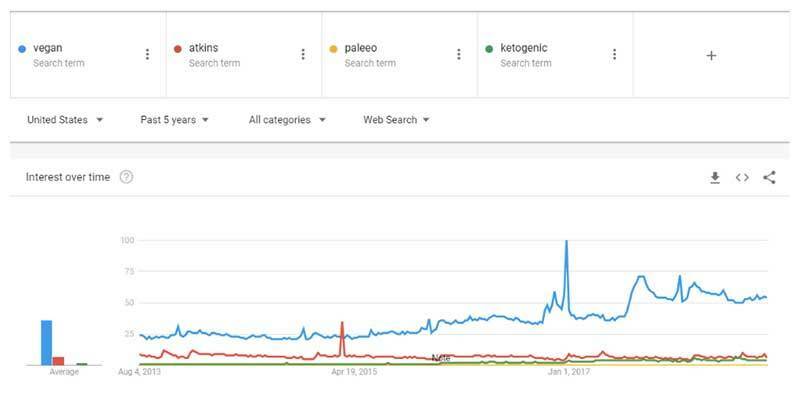 Ketogenic would be my second choice, it doesn’t have anywhere near the volume of google interest over time, but is is steadily rising. If I took out vegan it looks like this. Clearly ketogenic is on the steady rise and based on this Google keyword trend it will pass atkins in the next year or so. Never underestimate the importance of how to use Google Trends for keyword and market research because this tool can save you a HUGE amount of time and energy. If you want to dive even deeper into how to use these trending keywords, be sure to check out my free SEO course which show you how to maximize keyword utilization. When I’m analyzing the data from Google trends, what I’m really looking at is a story. You get to know the history of various search terms, how they’re doing in terms of popularity worldwide, nationwide, or city-wide. Then, the related topics and queries are like your sequels, keeping your content market research moving forward and propelling your business long into the future. If you do the research before every post, and every big decision, your future self will thank you because, the results that you’ll get will be far superior than those of your competitors. This type of research has served my wife and I greatly over the years and the best part about this Google trends search tool is it’s free. Keep doing what you love and love what you do. You can have the lifestyle design you’ve always wanted but you’ll get there much faster with a lot less stress and wasted time, money and energy if you do it right from the start. 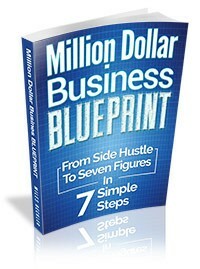 I’d highly recommend using tools that make the process of building your online business that much easier. Let me know if you need any more help on how to use Google Trends for market research. Or, if you have questions on how to use Google Trends results for your video marketing (the current trending way to reference that), blog, or Facebook advertising (currently trending downward) just dump them all in the comments section and I’d be happy to help. So , I called up Google and the guy said that in the comparison Google is telling me how many people , out of the ones looking for Flu also searched berries . So basically once you have 2 or more terms you don't get gross volume for each term ( maybe yes, but for the most popular only ?) but rather a combination, is this true ? Remove 'flu' and notice the berries graph doesn't change.